American angler Charles "Jed" Mixter potentially set the new All-Tackle world record for snubnose pompano (Trachinotus blochii) with this 8.21-kilogram (18-pound 1-ounce) fish that he caught on February 19, 2018 while fly fishing the flats of the Seychelles with guide Wes Rapson. Mixter played the fish for approximately 25 minutes after it ate the crab-patterned fly he was casting. Once landed, the fish was quickly weighed, documented, and released alive. 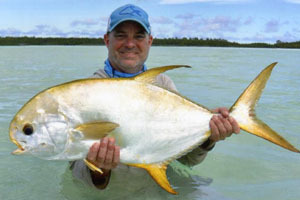 The current IGFA world record is 5.05-kilogram (11-pound 2-ounce). Ecuadorian angler Fernando X. Mata - age 11 - caught this impressive 29.3-kilogram (64-pound 11-ounce) broomtail grouper (Mycteroperca xenarcha) on February 28, 2018 while fishing off Salinas, Ecuador. Mata played the fish for 15 minutes after the diving Mirrolure plug he was trolling got hit. If approved, the catch will become the new Male-Junior record, which currently stands at 28.12-kilogram (62-pound). English angler Richard Hart caught and released this beautiful grayling (Thymallus thymallus) on February 24, 2018 that tipped the scales at 1.41-kilogram (3-pound 2-ounce) - heavy enough to qualify him for the potential new men's 1 kg (2 lb) tippet class world record. 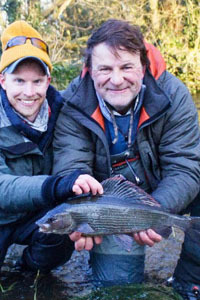 Hart caught the grayling while fly fishing a stretch of the River Frome outside of Dorsett, UK with local guide Alex Jardine. The fish put up a spirited 15 minute fight on the ultra-light tippet after it ate the nymph Hart was casting. If approved, the catch will replace the existing record which stands at .66-kilogram (1-pound 7-ounce). 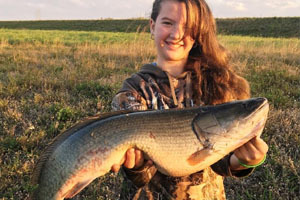 American angler Emily Rose Hanzlik - age 12 - potentially set the new women's 1 kg (2 lb) line class world record for bowfin (Amia calva) with this 3.2-kilogram (7-pound 1-ounce) fish that she caught and released on February 1, 2018 while fishing the C-51 Canal in West Palm Beach, Florida, United States. Hanzlik skillfully played the fish for approximately 10 minutes after it ate the dead sardine she was using for bait. 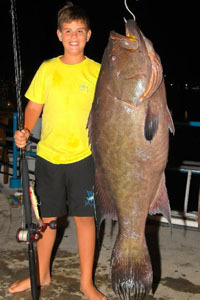 The current IGFA world record in this category stands at 1.81-kilogram (4-pound).